We hold the biggest database of real-time taxi prices in the UK. Using the information you provide us we will instantly check the fares for your journey with 1000's of taxi and minibus companies. Our unique fare calculator is the fastest way to find the best price for taxis, minicabs and minibuses nearest to you. We work out which ones are local to you and get you a list of all the very best quotes instantly. But as we all know it's not just about price it's about service, that is why we also monitor the performance of each taxi company and give you access to a performance score that not only monitors the taxi companies performance on successfully completing bookings but also collects the customer feedback too. 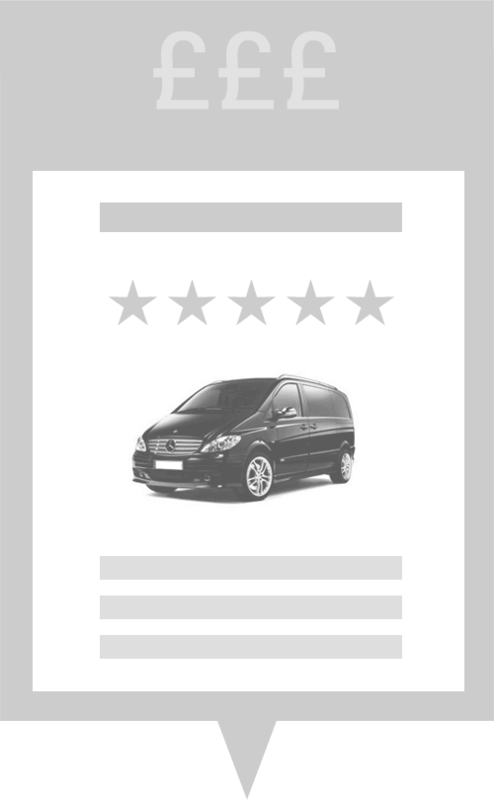 We then display this score in an easy to read format and you can even see real customer reviews, therefore you can make your booking decision based on price, service and reputation. With Taxi Price Compare you not only save money but you book with confidence. Why use Taxi Price Compare? On successful completion of the booking, we will also email you asking for your feedback on your booking experience.